This is really an example of Web and Graphic design, so I guess I'll post in in the blog. I have just finished up a first draft of micro-site for a art and music collaboration. For several years I have been making album art to go with my friend's yearly Christmas music selection. I started in 2011, but my friend has been compiling albums since 2006, so I plan to go back and create art for the older collections. The web page is built using Bootstrap, Font Awesome and Google Fonts. If you're in the mood for some holiday music, you'll find no better lists! 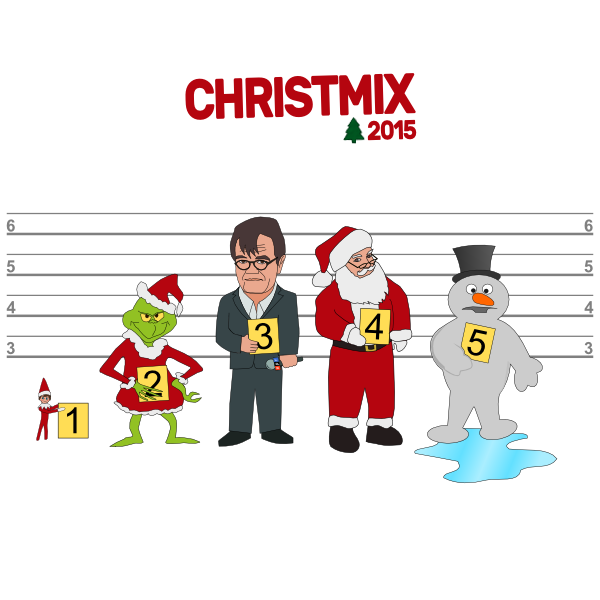 Visit my Christmix site! If you are a U2 fan you may remember the iconic heart in a briefcase symbol that was used throughout the Elevation tour in 2001. This version is made entirely with Font Awesome, which really is pretty awesome. The set includes quite a lot of SVG icons that are very easy to implement. on 07 August 2014 .
on 30 July 2014 . My friend Mike asked for a design for his summer rock mix. A couple images from photos I took in the city.